An invitation from the newest collection, whose cover is made from a transparent, pleasant to the touch, material. 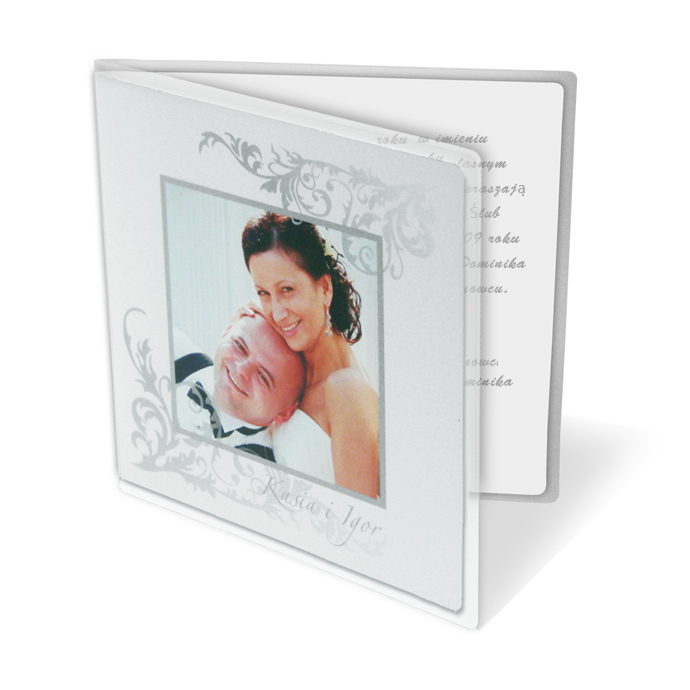 The insert for printing is made from white, matte paper. 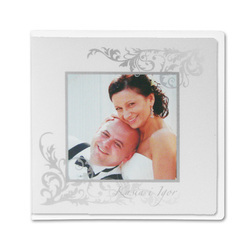 The first page of the insert has a photograph of the bride and groom printed in a grey frame. The names of the bride and groom are printed under the photograph. The invitation is made with great care and attention to detail. Precise printing, careful execution, and high quality paper. 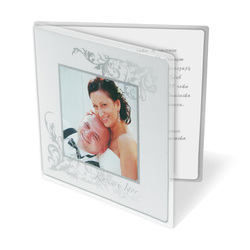 A decorative envelope (130g/m2) is added FREE.